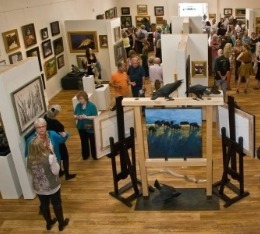 Since 1988, Newby Gallery has exhibited an extensive range of artists, genres, and mediums. Our mission is to provide exceptional choices and services to our collectors while supporting our artists and charitable organizations we believe in. We represent artists who have achieved the highest levels of recognition in the art world alongside emerging talent whose work is breakthrough in style and technique and an enhancement to our collection. Over 25 years the K Newby Gallery and Sculpture Garden has maintained a reputation as one of the finest galleries in the US. 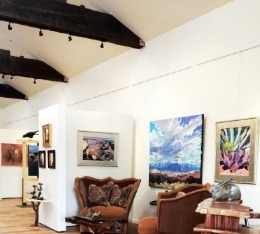 The gallery has been one of the leading forces in the Tubac art community, as well as playing a large part in the entire village. We are very proud of our experienced and exceptional staff. Gallery Director LeRoy Doyle has been with us since 1991 and delights in personally assisting collectors acquire art they love. Kim Roseman obtained ownership of the gallery in 2003 and added the monumental sculpture garden in 2005. In 2006, Kim was announced a winner of the Tucson Business Edge’s annual list of 40 emerging leaders who have achieved success in business and community before turning 40. “The 40 Under 40 competition has truly proven that Tucson has an abundance of young, talented leaders that are going to affect the growth of this community in a positive way, leading to increased productivity, a genuine focus on the entire educational process and beneficial changes to the quality of life in the Old Pueblo,” said judge, Joe Altamirano. 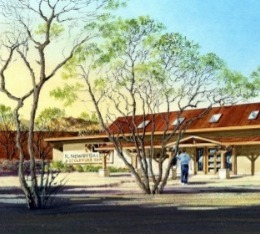 With a degree in fine art from Monmouth University, she is committed to bring the finest in painting and sculpture to southern Arizona as well as continuing the K Newby Gallery tradition of community participation. Our goal is to make the K Newby Gallery and Monumental Sculpture Garden a destination where visitors will be rewarded with a day full of unexpected treats and immeasurable small pleasures as they shop, tour and appreciate the garden and gallery. We hope you enjoy your tour of our artists work. If you have any questions, please don’t hesitate in contacting us. We would love to hear from you.